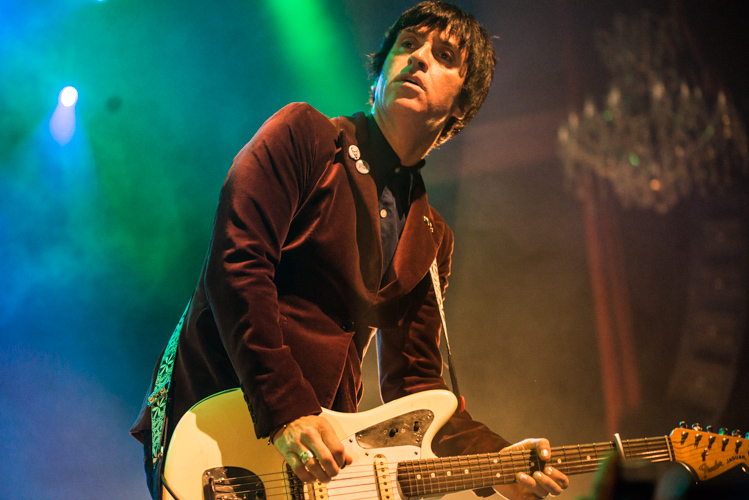 The first thing that comes to mind when one mentions the name Johnny Marr is of course his legacy with The Smiths. Marr started the band back in 1982 and went on to release four classic albums, none of them entering the charts lower than number two. He would go on to play in The Cribs, Modest Mouse, The The, and Electronic before going solo and releasing the much anticipated and highly praised “The Messenger”. Touring in support of this album he treated a jam packed Fillmore to a night of classics both old and new. I have to admit that I am not the biggest Smiths fan in the world, but I truly appreciate what the band has done, and Marr in particular. He planted the seed for many great things to come including Arctic Monkeys, Radiohead, Suede, The Libertines, and countless more. 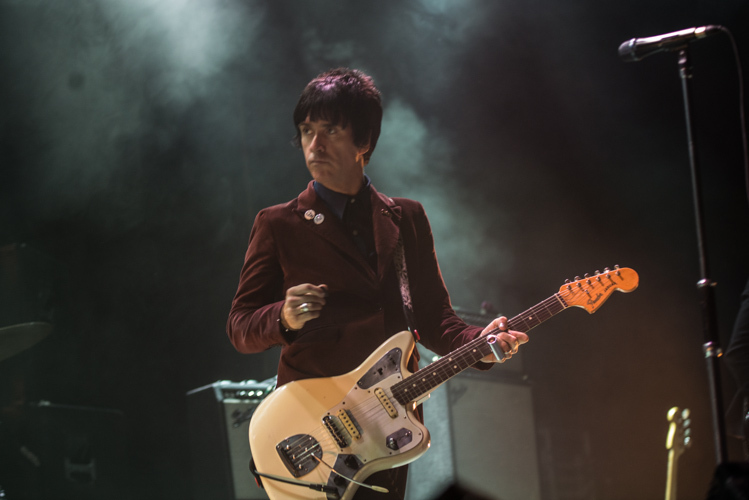 Marr’s bio is worthy of a biography and it reads sort of like a real life Forrest Gump of music as he always seems to be in the right place at the right time all while making history along the way. One of my favorite stories is the one where Marr meets a very young Noel Gallagher and loans him one of his hallowed Smiths guitars. 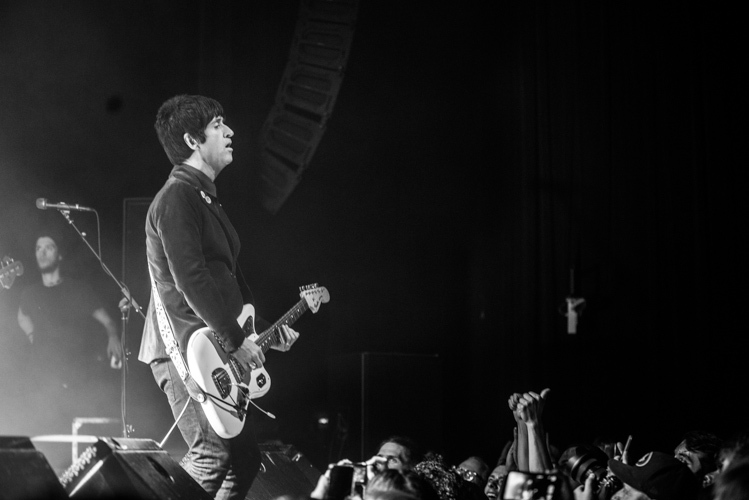 Urban legend has it that guitar was possessed with voodoo spirits of great melody that would assure Oasis’s success. 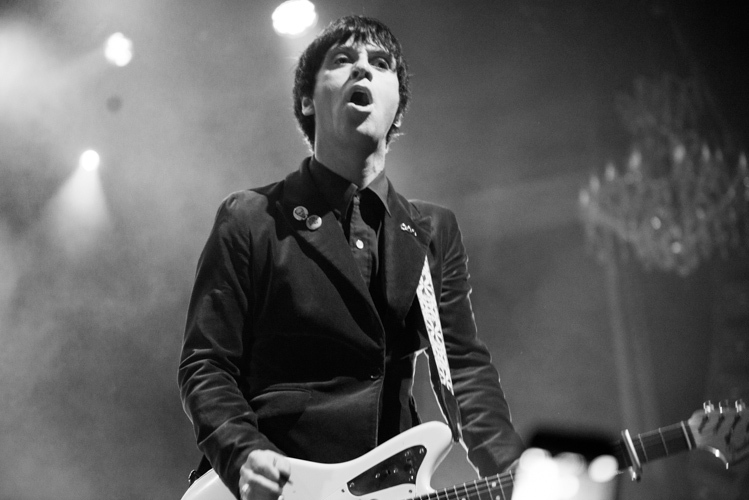 Marr continues to be in demand and rightfully so as Pharrell Williams recently revealed he is working with Dave Stewart and Michael Einziger on music for The Amazing Spider-Man 2 which will be released next year. Bottom line: brilliant musician, incredible show, stellar solo record, you really can’t miss with this guy.